Manual lymphatic drainage (MLD) is a type of gentle massage which encourages the natural drainage of fluid (lymph), which carries waste products and excess fluid away from the tissues back toward the heart to be returned to the circulation and drained from the body. The lymph system depends on intrinsic contractions of the smooth muscle cells in the walls of lymph vessels and the movement of muscles to propel lymph through the vessels to the lymph nodes and then beyond the lymph nodes to the lymph ducts which return lymph to the cardiovascular system. Manual lymph drainage uses a specific amount of pressure (less than 9 ounces per square inch or about 4 kPa – Very Gentle) and rhythmic circular movements to stimulate lymph flow. This massage is generally slow and lasts 1 to 1.5 hours. 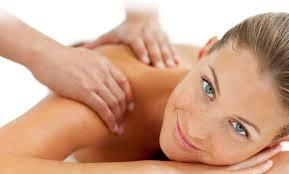 This type of massage also concentrates on the lymph nodes to encourage their drainage. It is typically used where surgery has disrupted the lymph system (vessels, nodes, ducts) and excess fluid is built up (lyphoedema). It can also be used in acute conditions where excessive swelling is present (i.e. orthopaedic surgery).